Merry Christmas Eve everyone! I hope you all that celebrate Christmas have a wonderful holiday with your friends and family. I come from a Jewish family, so I never celebrated Christmas, but this time of year is always extra special for me. I love the smells, the music, and the decorations. This is also a great time of year to reflect and show gratitude and love for all the people in your life. You also should be kind to yourself during the holidays. Celebrate you! I have an awesome holiday polish to kick off Christmas by KBShimmer for you all today. All Decked Out is a forest green jelly base mixed iwth varying sized multi colored glitters, and holographic golden stars. This is my idea of a perfect Christmas polish. 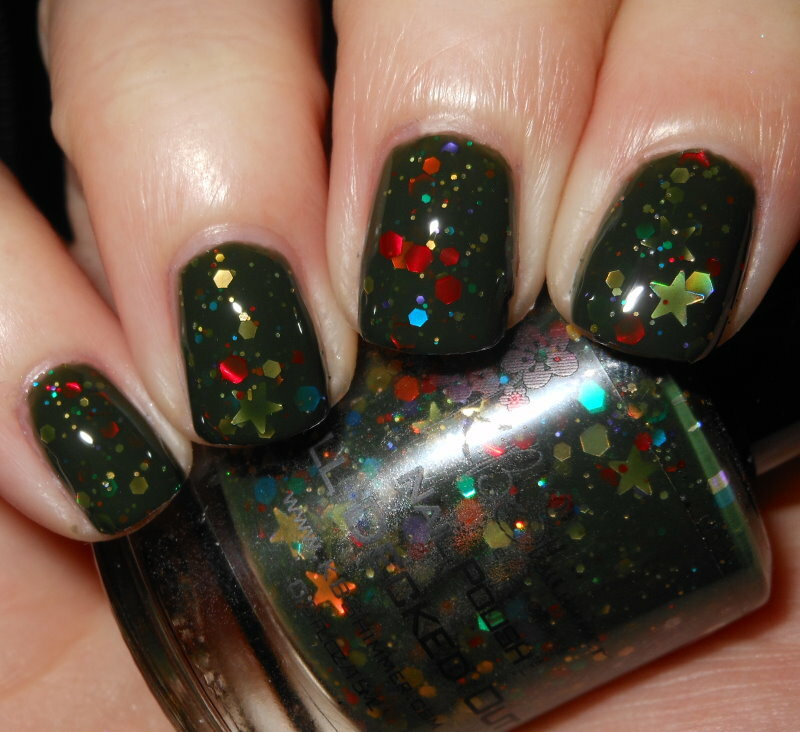 I love the all the bright color glitters, the green base, and the stars. This is just fun in a bottle. I adore it! This applied well, and the formula was good. I don't think I have much else to say about it! All Decked Out is a great polish! I purchased this from KBShimmer's site for $8.75. I love the stars in this one- most of the christmas indies I've seen don't have stars so that's a great touch! I doubted to get this but buying a Christmas polish after Christmas felt to weird. I think I am going to regret it!